Your actions that deal damage cost 2 less. Destruction Tutor is a rare Intelligence creature card. It is part of the FrostSpark Collection. "The destruction mage is never unarmed." "They have much to learn!" 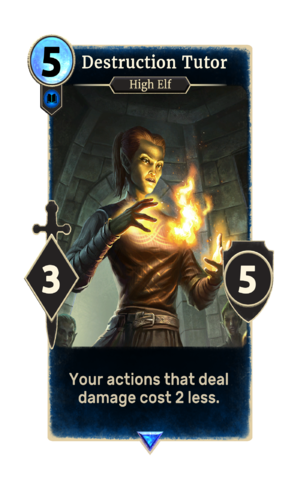 This card depicts Faralda from Skyrim.